April is turning out to be such an amazing month. Embracing Yes has been one of the best things that our family (and I) have done. You read in my last post about us hooping on the roof--yes it was scary but yes it was awesome!! Here are some of our photos from this past week of Yes. We said YES to each child having their own buckets. 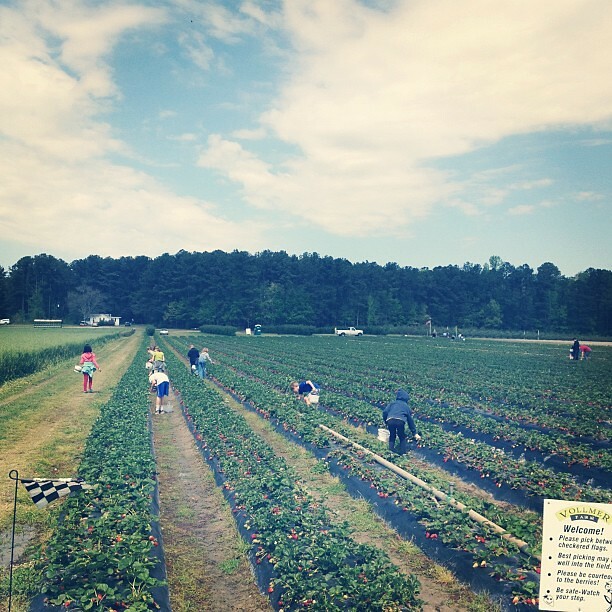 YES we have a ton of strawberries but YES they are yummy and we are putting them to use. I said YES to taking the girls with me on my "time away" instead of doing it alone. 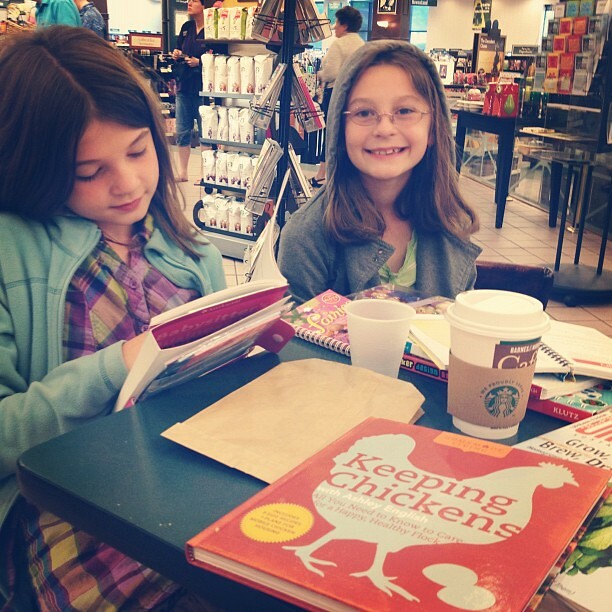 We enjoyed a hot beverage and dreamed of owning our own chickens. This is a YES that I'm so freaking excited about. Words can't describe my excitement! 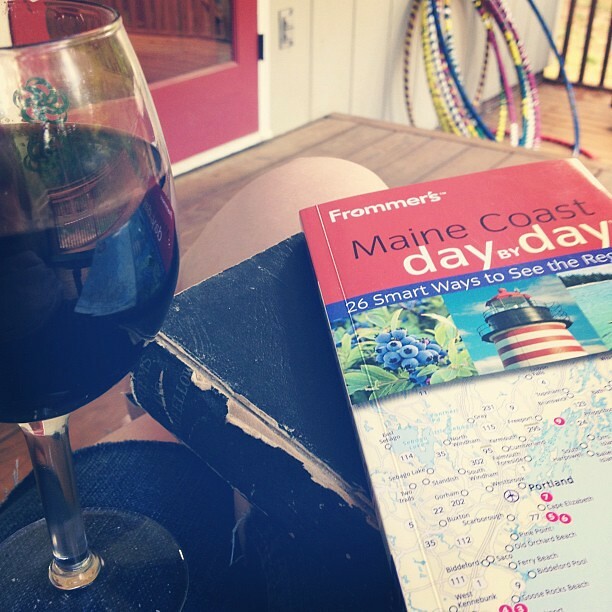 The hubby and I said YES to going to Maine next month. We've talked about it for a while but yesterday--we booked our stay! So I poured some wine and reacquainted myself with a favorite poet since I get to see his childhood home soon! 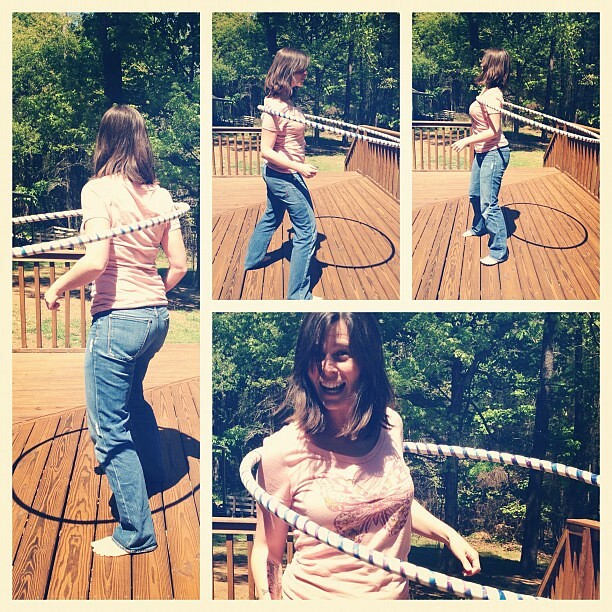 Hula Hooping is one of the most fun YES activities that the family has embraces. Each of us take time practicing and learning new "tricks" here's me finally mastering shoulder hooping. I'd love to hear some of the YES things that you've embraces this week! Wow such fun!!! And this prompt reminds me that I need to take some time to figure out what "yesses" are in my life right now. good good thoughts. Maine!!! Yeah!!!! Keep saying yes! love, love, love this post. just shared on Facebook. i am a big adherent to the yes living philosophy, although sometimes i get off track... thanks for the reminder! Thanks for sharing it amy!! I'm new to this Yes Life and can't imagine ever going back! I have learned much through this "tribe" of bravehearts. You guys inspire me to say yes and embrace adventure! This is fantastic! We routinely say yes -- balanced with a lot of nos. But saying yes to our kids, to ourselves is one of my favorite life lessons. I write about it often, actually. Saying yes has changed my life as well. Thanks for sharing!